Ian Storry and Eric Smith founded the club in 1980 after a chance meeting on a garage forecourt. 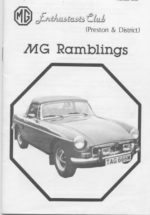 They hatched a plan to form a local club and so had reams of leaflets printed and spent their evenings driving around placing them on every MG they could find. The idea was to invite all these MG owners to a meeting at the Mackenzie Arms pub in Bamber Bridge and let them decide which of the two clubs, MGOC or MGCC, should be represented in the Preston area. Well they were not to be disappointed, as over 80 locally owned cars turned up. 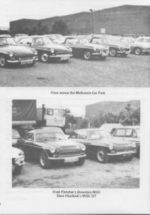 As it turned out what those present wanted was to be a small independent club doing its own thing on a local basis and whose aim was to promote a common interest in the upkeep, preservation, restoration, and use of MG motor cars. Also to provide social events that foster friendship and enjoyment among its members, and to engage in activities that support the club and the interests of its members. 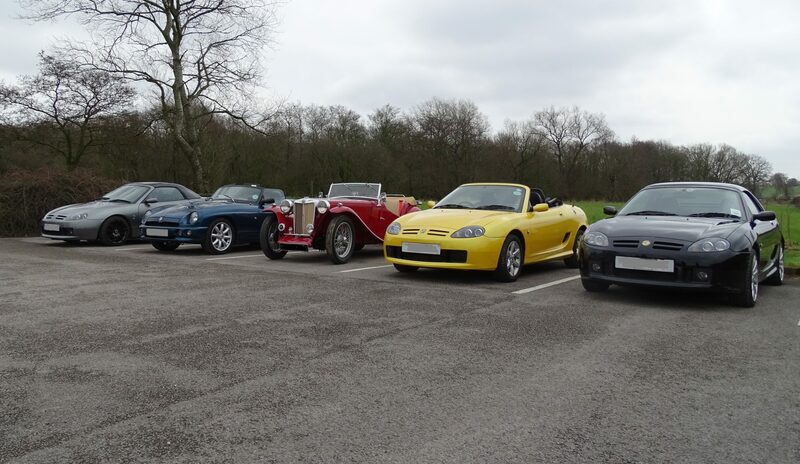 Since then the Club has proved its strength and its dedication to the MG marque by supporting both national and local events whilst the members enjoy driving and maintaining their cars. Later on, Preston & District MG Enthusiasts Club or P&DMGEC became affiliated with the MGOC. 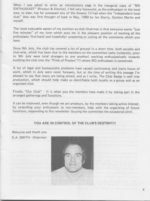 Click on the images to see a larger version of part of an early club newsletter.